After a long flight and little sleep on a crowded and uncomfortable Boeing 747, we arrive at Heathrow Airport. Our flight to Athens will not leave until late this evening, but we have already decided how to spend the day. 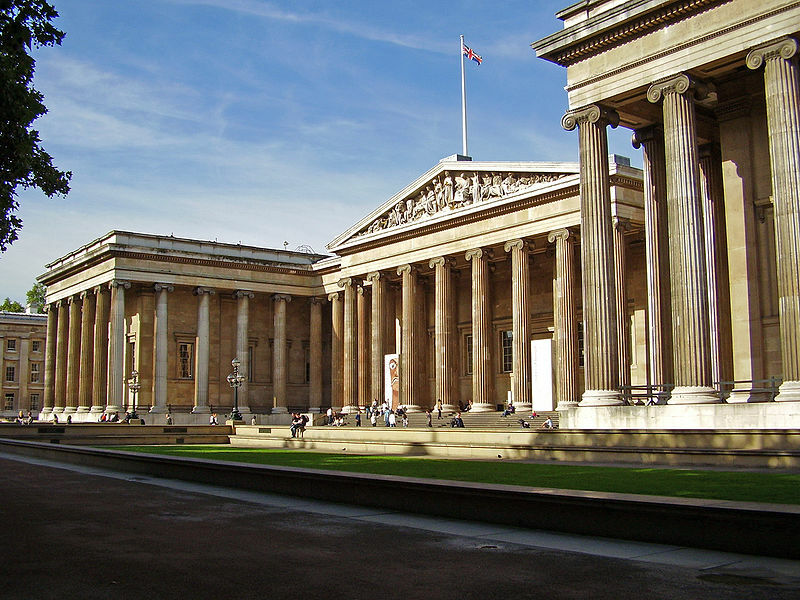 We will explore the Greek collection at the British Museum in London, which is about 20 miles from the airport. Duane checks our backpacks at the “Left Luggage” booth and we take an escalator one level down to catch the underground for the city. 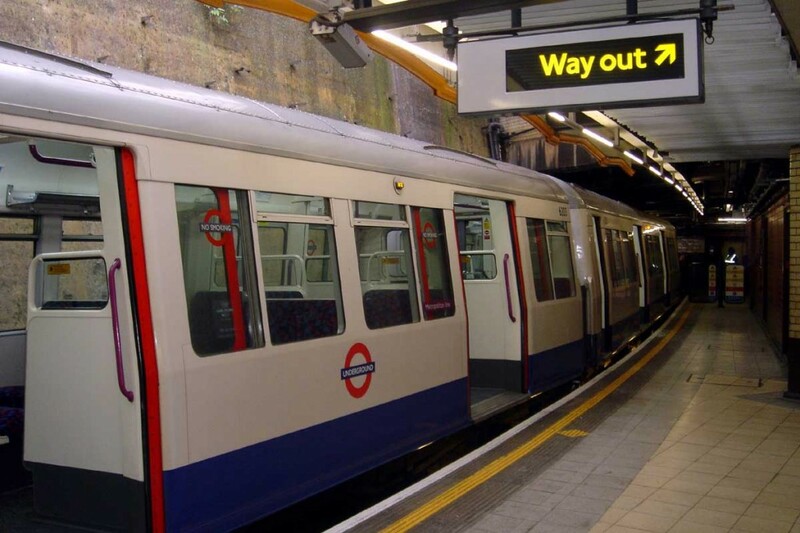 The “underground” is an electric commuter train which (as the name suggests) travels in tunnels all around the city of London and the suburbs. The tracks are not always underground. We travel on the surface through Acton Town, Hammersmith and other villages before we enter the tunnels near London. 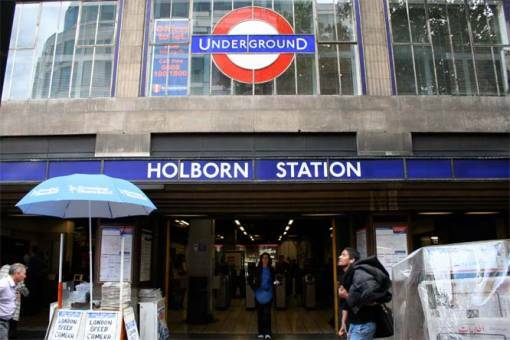 It takes about 40 minutes on the Piccadily Line to reach Holborn Station, which is the stop nearest to the British Museum. After walking through a labyrinth of tunnel, climbing many stairs and taking two very steep escalators to get to the surface, we realize that the train tunnel is at least 80 feet beneath the streets of London. We emerge onto the bustling High Holborn Road and make our way through the Bloomsbury section of London towards the British Museum. Since the street names are posted high on the corners of buildings and seem to change every few blocks, we must ask directions several times before we reach Great Russell Street, which leads to the museum. It is past noon and we are very hungry, so we stop at a small Greek cafe near the museum chambers (offices) on a narrow street. Since we have come to London for the Greek art collection, a Greek lunch seems appropriate. Sitting at a sidewalk table and eating a salad with feta cheese and pita bread, we notice that all the buildings around us have names and construction dates from the middle of the last century. Except for their architectural styles many of these buildings look new. The historical buildings in London are preserved and renovated for future generations, rather than being torn down to make way for something new. After lunch we walk to the British Museum. It is a huge complex of buildings surrounded by a great iron fence. 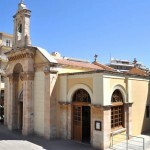 The main building and entrance borrows much from the Classical Period of Greece. As you can see in the photograph, it looks a lot like the Parthenon. It has huge columns across the front supporting a triangular pediment with statues in the Greek style. As we walk across the courtyard, we hear people speaking many different languages. All have come to see the famous collections of the British Museum. At the main entrance of the museum we ask a security guard how to find the Greek collections. He gives us directions and a small map of the complex, and we begin to walk through the exhibit halls where we pass gigantic stone carvings from the Assyrian empire and wonderful sculptures of ancient Egyptian gods that appear to be half human and half animal. There is an incredible granite bust of Rameses II and many other beautiful carvings. I wish there was more time to spend here, but it would probably take many days to see everything in the museum and years to truly appreciate each item in the various collections. We are looking for the Parthenon sculptures, so we pass by some Greek and Roman statues. 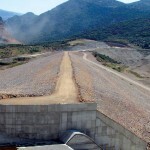 But when we reach the Lycian exhibit, we have to stop. 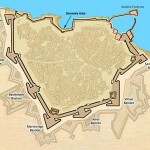 Lycia was an ancient kingdom on the southern coast of what is now Turkey. The Lycian people were conquered and dominated by Greece, and they were strongly influenced by Greek art. 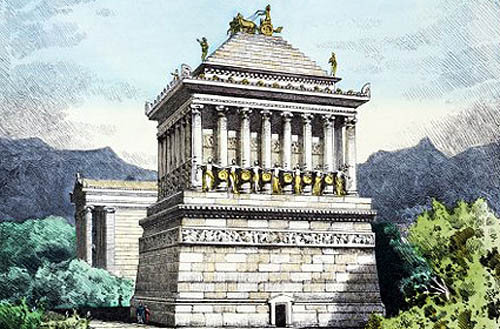 The best example of this influence is the Nereid Monument, which was built around 390 BCE. It was removed from Turkey and reconstructed in one room of the British Museum. 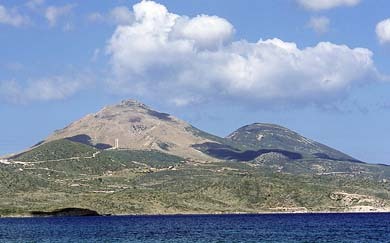 It is a small monument in the Ionian style with a burial chamber inside. 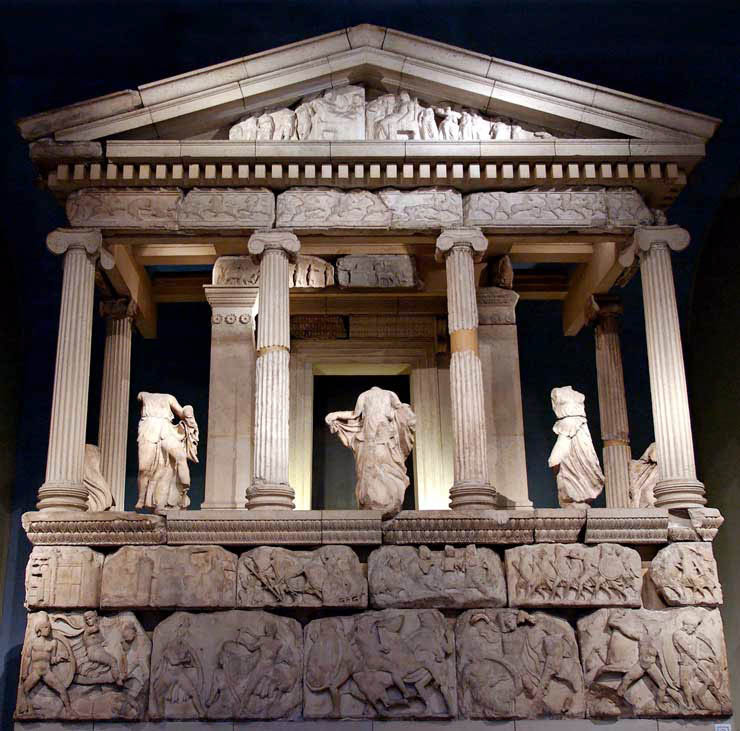 In the photograph you can see the figures of the Nereids between the columns. These were the daughters of the sea god. The statues are carved to make them appear to be flying over the waves of the sea, with their gowns fluttering in the wind. There are also three statues of the Nereids across the room from the monument. Even though there are pieces broken from these sculptures, they seem so lifelike. I want to reach out and touch them, but that is not allowed. After visiting the Nereids we go on to the Parthenon exhibit. These rooms are huge, with very high ceilings and natural light spilling down from above. In one of the rooms segments of the friezes from the Parthenon are mounted shoulder height around the entire room. These depict a procession of people and animals, paying tribute to the gods of Athens. I noticed that the sections from the west facing walls are much more eroded than those from the east walls. The form of the bodies, poses and muscle contours show that the artist was one of the greatest of his time. The statues from the east pediment of the Parthenon are also on exhibit. These are the statues of gods that were placed just beneath the slanted roof of the building. As you can see in the photo above, they are posed so that their bodies would fill the corner space provided. 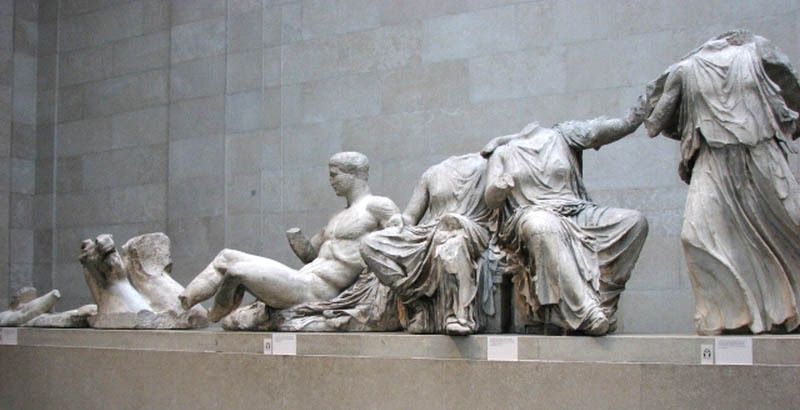 For more information about the Parthenon Sculptures, you can watch a video at the British Museum website – keeping the mind that this presentation represents the British Museum’s official position concerning the ownership of the sculptures. 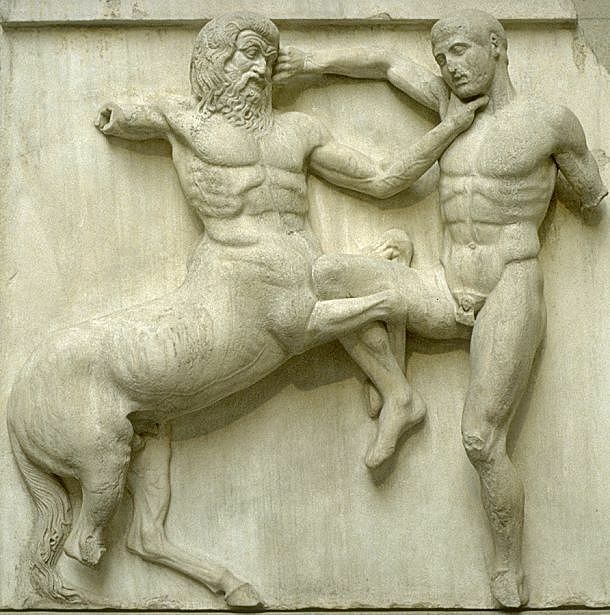 Some of the most amazing sculptures in the collection are the Metopes from the Parthenon. These depict a mythic battle between the centaurs and humans. After the viewing the Parthenon sculptures, we visit some of the other Greek exhibits and see many marble statues and busts of such historical figures as Socrates, Pericles (who was the architect of the Greek Classical Period) and Aristotle, as well as the mythical characters Herakles (Hercules), Dionysos, Apollo and others. I am looking into the faces of people who built a great civilization nearly 3,000 years ago. In some ways, their accomplishments make our modern world of airplanes and electronics seem less thrilling. 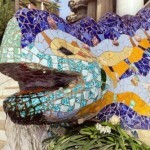 Many of the sculptures are so perfect that they seem to be alive. I half expect them to blink or speak to me. It is an eerie sensation. 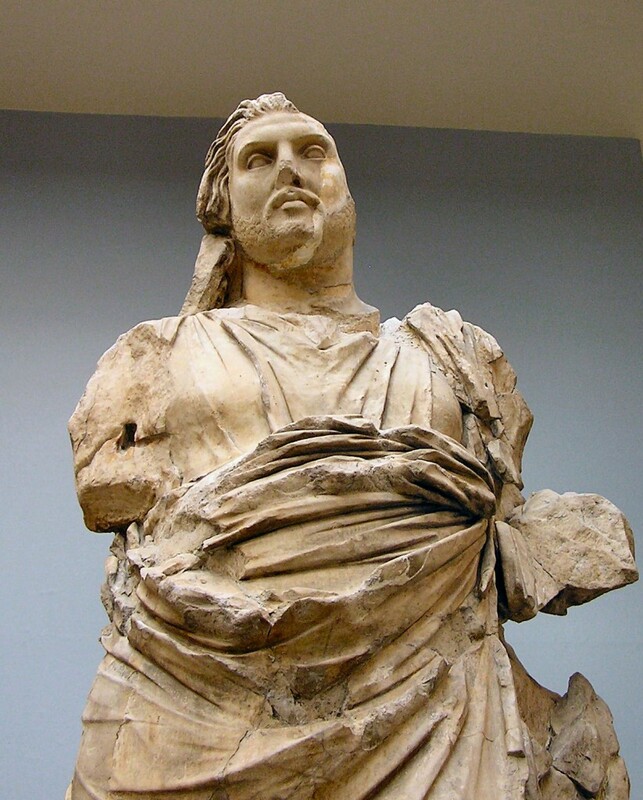 We also visit the collection of sculptures from the Mausoleum of Halikarnassos, which was considered to be one of the seven wonders of the ancient world. According to the Roman historian Pliny, the building was 140 feet high, with a stepped pyramid roof and a peristyle of 36 columns in the Ionian style. A few of the major statues from the mausoleum, which was the burial place of the king, are exhibited in the museum. These statues, like the one shown below, are about three meters tall. There were many of them, standing like giants around the great building. Unfortunately, the mausoleum was mostly destroyed during the crusades, when the Knights of St. John used its stone to build a castle at the harbor of Halikarnassos (now known as Bodrum on the coast of Turkey). After spending hours wandering through the museum, we decide to go outside and visit London before returning to Heathrow. There are wonderful neighborhoods and business districts and parks within walking distance of the British Museum. Coming from the western U.S., where the cities all seem to be new or recently renovated, and where older buildings vanish overnight, it is marvelous to experience a city which preserves its heritage. We enjoy the afternoon sunshine and the bustle of the city for several hours before descending once again into the London underground to catch the train. The ride to Heathrow is somehow depressing, because I am not ready to leave. I want to spend more time with the wonderful art of the Classical Age. I will have to wait until I arrive in Greece to see more. I have tried to show some of the sights in the British Museum. If you want to see more, connect to the British Museum website and explore the various galleries. 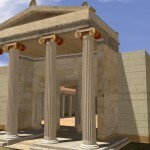 Vocabulary: Look up some of the architectural terms used to describe Greek temples and other ancient structures. What is a pediment, a frieze, a plinth? See if you can find names for the major parts of a Greek temple. Who were the Nereids? What part were they thought to have had in Greek Mythology? Look up some of the names mentioned in this report and find out who they were. What are the pros and cons of museum acquisition of items from other countries and cultures? Find out how these collections were assembled.